Head of the White Helmets remembers Turkish and Syrian unity. Why? Raed Salah, the head of the White Helmets organization recalled that Syria and Turkey used to be one country in an interview to the Turkish Anadolu agency on October 1. During the interview, Raed Salah accused the Syrian government of war crimes, in particular, the use of chemical weapons, and Russia in connivance and concealment of these crimes. At the same time, he expressed gratitude to Turkey for the support provided and also rejected all accusations against the White Helmets regarding their cooperation with terrorists and participation in the staging of chemical attacks. “We are all brothers and family. Let’s not forget that 150 years ago we were one country”, stressed in conclusion the leader of the organization, addressing the people of Turkey and Syria. 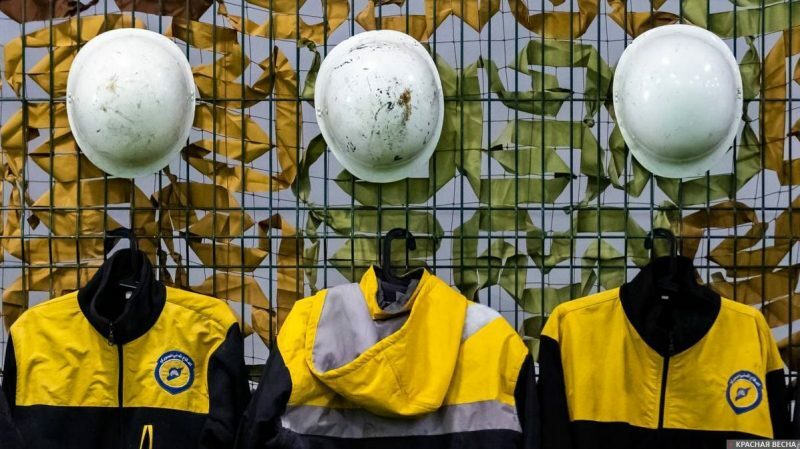 The White Helmets position themselves as a volunteer organization operating in terrorist-occupied territories, with the goal of providing search and rescue, and medical evacuation of civilians. At the same time, a large body of evidence has accumulated of their cooperation with terrorists and participation in the staging of chemical attacks. It should be noted that the head of the White Helmets had the opportunity to make his statement to the Turkish state news agency, hence confirming his connection with Turkey and expressing a common position regarding the criminality of Bashar Assad’s government. The reference to the past is noteworthy in this instance. Recall that Syria was part of the Ottoman Empire until the beginning of the 20th century, and it gained independence as a result of the empire’s collapse. Therefore, referring to “one state” in this case implies not an association of equals, but a subordination to Turkey and the loss of Syrian sovereignty. This entry was posted in News from the Middle East and tagged Informational-Psychological War, Syria, Turkey, White Helmets. Bookmark the permalink.